RARE SNUITERS is an award winning inclusive children’s book (with audio CD) by Jan Dewitte and Freya Vlerick. 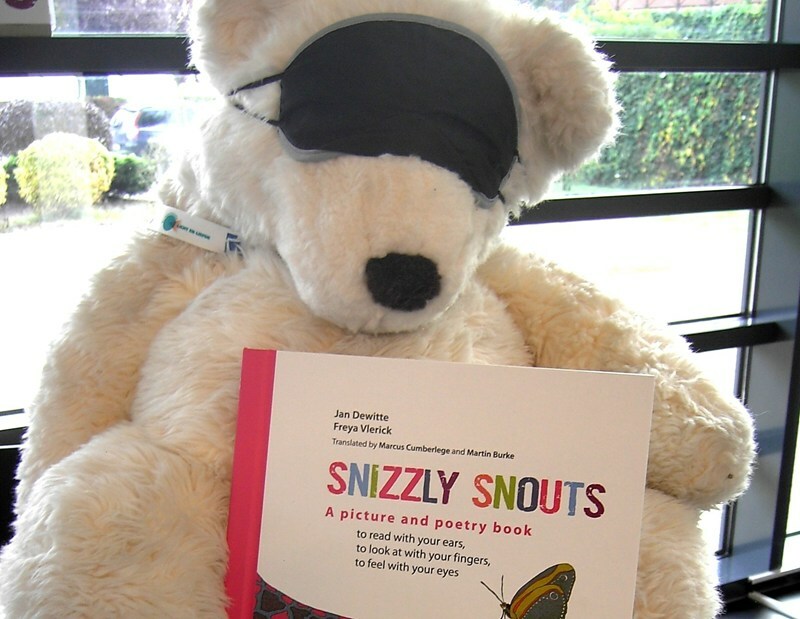 The English version SNIZZLY SNOUTS, translated by Marcus Cumberlege and Martin Burke, is published by Blindenzorg Licht en Liefde in cooperation with NCBI (Ireland). This is a picture and poetry book to read with your ears, see with your fingers and feel with your eyes! 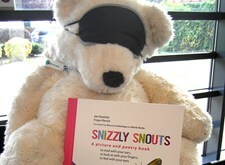 Rare Snuiters / Snizzly Snouts received a ‘White Raven Special Mention 2012’ by the International Youth Library. Our book was also selected by IBBY for the travelling exhibition 'Outstanding Books for Young People with Disabilities 2013'. An octopus who writes, a knitting sheep and a tapir who thinks he's an elephant… all the creatures in Snizzly Snouts are strange and quirky! They symbolize the wonderful diversity in our society. The playful poems as well as the attractive pictures tickle the fantasy and are very recognizable. This book utilizes clear letters, contrasting and tactile pictures, audio (DAISY/MP3 or standard CD) and Braille, so that it will appeal to everyone including blind, visually impaires and dyslexic readers. The CD contains a verbal description of the whole book and also serves as a GPS for the fingers, cleverly showing them how to feel the pictures. In this way, children with and without a reading impairment learn playfully to broaden their experience of life. Snizzly Snouts offers many educational opportunities. For children aged 6-12 (blind, fully or partially sighted, dyslexic, with ASD, ADHD, ADD…), parents, teachers, and all book lovers! to say ‘Yes’. Did you guess? no wonder he’s so neat! the sea is blue on which we sail. Freya Vlerick (Belgium, 1986) is a highly promising young artist. She works for the famous Natural History Museum of Brussels. Jan Dewitte (Belgium, 1968) writes for children and works for people with sight loss (Blindenzorg Licht en Liefde). 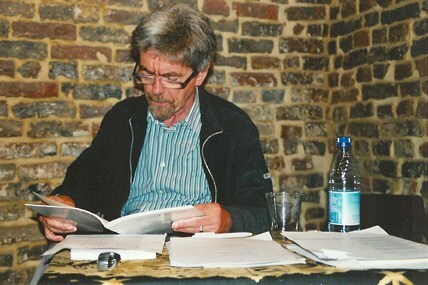 His children's book 'Joni' was nominated for the John Flanders Prize Averbode 2006. Freya and Jan developed their inclusive concept together, in close consultation with the various target groups. At the end of 2012 Blindenzorg Licht en Liefde agreed a partnership with NCBI, the national Irish sight loss organization. 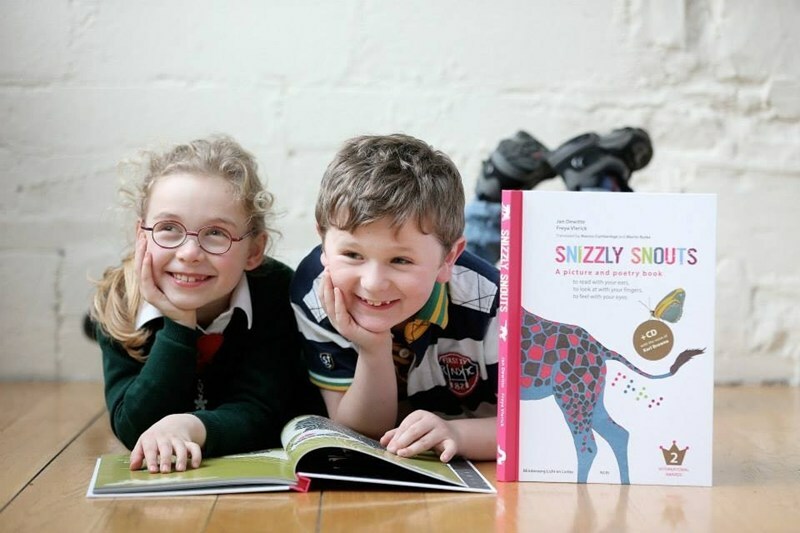 Together we have launched Snizzly Snouts, the English edition of Rare Snuiters. 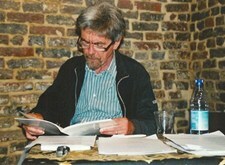 The award winning English poet Marcus Cumberlege, who lives in Belgium, provided a brilliant translation of the poems. Martin Burke, an Irish poet and playwright who also lives in Belgium, translated the 'GPS'. His texts were revised by the Irish author Niamh MacAlister, who works for NCBI in Dublin. We are extremely grateful to these people! The renowned International Youth Library awarded Rare Snuiters / Snizzly Snouts a prestigious 'WHITE RAVEN SPECIAL MENTION 2012'. This is an international award given to books of international interest that deserve a wider reception on account of their universal theme and/or their exceptional and often innovative artistic and literary style and design. The International Youth Library is the largest library for children's and youth literature in the world. Every year the IYL selects 250 books from over forty countries and in more than thirty languages. These are the ‘White Ravens’. They are exhibited at the Bologna Book Fair and afterwards travel the world. Only a few of these books are awarded a Special Mention, to give them extra attention. The jury considers them inspiring and challenging trendsetters of the highest quality. In 2012 nine books worldwide got this premium label. Our Belgian book was in the company of books from Australia, the UK, India, Italy, Japan, Lebanon, New Zealand and the Unites States. 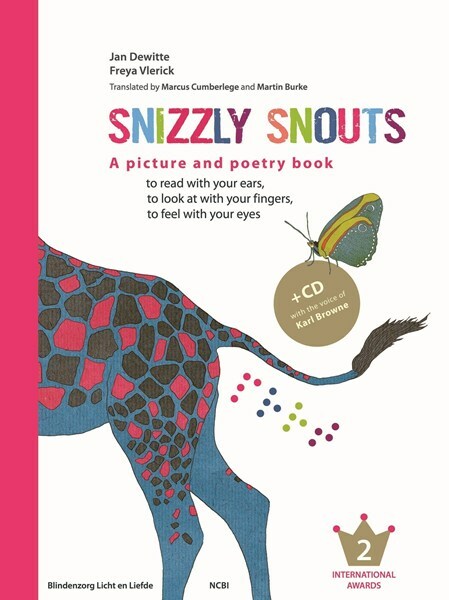 IBBY selected Rare Snuiters / Snizzly Snouts for the travelling exhibition ‘OUTSTANDING BOOKS FOR DISABLED YOUNG PEOPLE 2013’. Our book was nominated by the Flemish and Dutch IBBY branches. For the concept of her illustrations Freya Vlerick was awarded the MATHILDE E. HORLAIT-DAPSENS PRIZE by the Belgian Horlait-Dapsens Foundations. Of course we are delighted to have received these awards! They stimulate us to provide editions of our book in other languages. Order online: go to the NCBI webshop. NCBI is our project partner. Or you can order from us by transfering € 29,95 per copy (CD included) to the IBAN-account of Blindenzorg Licht en Liefde: BE03 4747 0637 8184 (BIC KREDBEBB). Communication: 'ORDER SNIZZLY SNOUTS'. The book will be sent to you. There is no shipping charge. Any bank charges have to be paid by the customer. 29,95 euro just covers the production cost. Snizzly Snouts is a non-commercial project. Our only aim is to promote the great value of an inclusive approach. "Just a note to say thank you ever so much for mailing all of our book purchases. We were delighted to receive the books in the mail and are in the process of readying them for our patrons. I shared the English version with several teachers at lunch and they are finding the book as intriguing and interesting as I do. Many thanks! 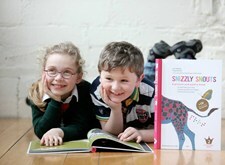 We really love your book"
"Snizzly Snouts is really amazing. It's a beautiful publication and so very functional for its targeted readership and to absolutely anyone who loves a good picture book." "The children are really loving the book. I think Snizzly Snouts is such a great project, I wish there were more books like yours which put so much care and attention into their work for their audience. Max has also had a look and loved the feel of the book and the words and pictures. I hope your project continues. Please let me know if I can be of any assistance, I'm really interested in the work you're doing." We got great reviews in Belgium, like on the renowned children's book websites Pluizuit and Pluizer. They made this book possible! Rare Snuiters / Snizzly Snouts is being supported by PoëzieCentrum (Ghent), Cera, Elia Fund (administered by the King Baudouin Foundation), Jeanne en Pierre Beeckman Fund (idem), Vlaams Oogfonds, Luisterpuntbibliotheek and the Flemish Government (education and equal chances). The illustrator received a grant for this project by the Horlait-Dapsens Foundations. The author received a grant by the Province of West Flanders.